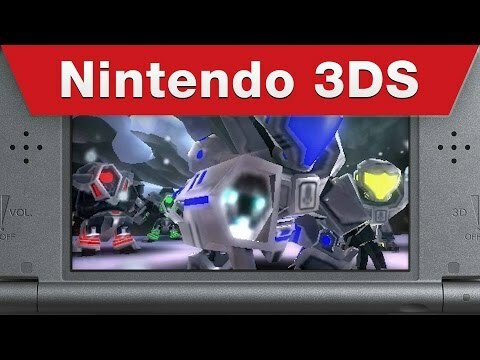 Metroid Prime: Federation Force for Nintendo 3DS family systems is the latest entry in the Metroid Prime series. In local or online* co-operative multiplayer, work together as part of a group of up to four players to fulfil the missions prepared for you. Each player controls a Galactic Federation Marine and pilots a blaster-equipped robot called a Mech, which they use to complete missions. At the start of missions, you’ll be provided with different sub-weapons, and one of the keys to a successful mission is deciding which weapon each member should take. Between missions you can also enjoy a round or two of the 3-on-3 sci-fi sport Blast Ball.